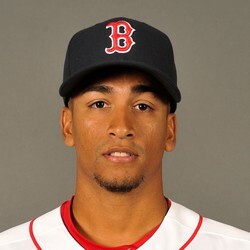 William Cuevas (0-1) took the loss Friday, allowing two runs on three hits and two walks over two-plus innings while striking out four as the Red Sox fell 8-0 to the Mets. Cuevas is a journeyman minor leaguer who got a chance to start on Friday when scheduled starter Hector Velazquez was dealing with an illness. Cuevas will move back to the bullpen and has no fantasy value.